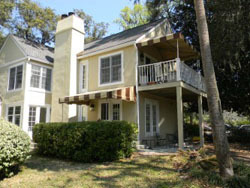 To Receive a 25% Discount on These Hilton Head Vacation Rentals! 2 Kings, 1 Queen, and 2 Double Beds. Third floor with Great Oceanviews! 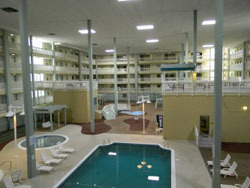 Covered Parking under the building and elevator to bring you upstairs. Sea Crest has Oceanfront Bar and Restaurant, Upscale Restaurant and Bar, Outdoor Pools, Hot Tub, Indoor Pool and Fitness Center. 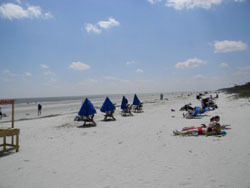 Sea Crest is the newest Oceanfront complex in Hilton Head. Golf View, Near Beach/ Short Walk to the beach and Walk to golf courses, bike to Harbourtown, South Beach, Pro Shop and Driving Range right out your back door. Remodeled with all new kitchen cabinets, new granite counters, new furniture, new TVs and new Appliances. 1 King, Two Doubles, and Queen Sleeper Sofa. Short Walk to Beach, Community Pool and Tennis Courts. 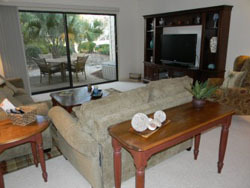 Tennis Courts and Pool are only 20 steps from the condo. 1 King, 1 Queen, 3 Twins, 1 Trundle, and 1 Queen. New Kitchen, New Furniture, New Bathrooms, New TVS, Granite Tile and New Appliances! 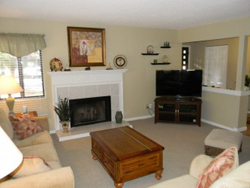 Completely renovated and professionally decorated. Condo has its own Grill, BBQ on your deck overlooking the pool. Just steps away from Coligny Plaza with over 60 shops and restaurants. 1.5 blocks to the beach and Coligny Beach Park (a must-see) with beautiful hardwood boardwalk, showers, changing stations, gazebo, and geyser-style fountain. Screen Porch, Nice Kitchen, New Appliances, Tile Floors, New Carpet, All New Furniture and New Paint. 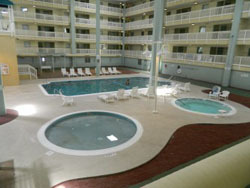 Short Walk to Beach, Indoor Pools / Spas, Outdoor Pools, Tennis Courts and Fitness Center. 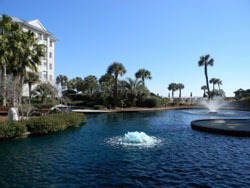 Fully Furnished Condo with Washer Dryer and just a Short Walk to Beach, Community Pool and Community Tennis. Shipyard is a gated community with access to 27 Holes of Golf, Shipyard beach access, Dennis Van Der Meer Tennis, Crowne Plaza Hotel, restaurants and night club. 1 Queen, 2 Twins, and a Foldout couch. 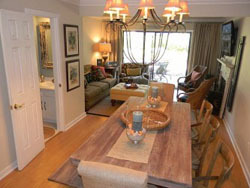 Fully Furnished Ocean/ Lagoon View Condo. 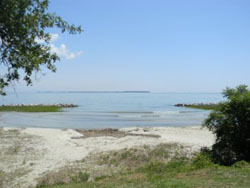 A Short Walk to the beach, Community Pools, Community Tennis or fish off the dock. Totally updated and renovated, New Tile Floors, New Cabinets, Stainless Steel appliances, new bathrooms, new paint, outside deck and all new furniture with New LCD TVs. Pool views, large deck, first floor and walk to the beach. 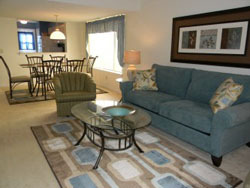 Free wifi, cable tv, nicely furnished, fully stocked kitchen. Great Condos and Great Rates! Call 1-800-400-4113 and Book by March 31st to Save 35%!